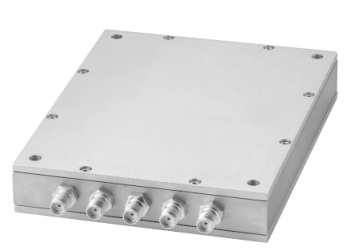 Microwave splitters are generally octave bandwidth or lower. In lab and instrumentation applications, this poses a problem, as one has to buy a series of splitters to cover a bandwidth. 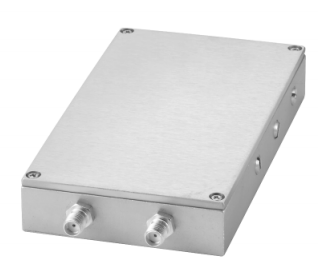 Mini Circuits has designed a 2 way and 4 way splitter covering 10:1 band width, 500-5000 MHz. These splitters have good insertion loss (0.8 dB typ. for 2 way, 1dB typ. for 4 way, excellent isolation 23 dB typ. and good return loss, 18 dB typ. These power splitters use micro strip construction and are manufactured on low loss microwave substrate. These use traditional Wilkinson topology. A number of sections are cascaded to achieve wide band performance. Circuit analysis was done to optimize the performance over the wide frequency range. The circuit is housed in a metal case and SMA connectors are provided as an external connection interface. Fig1 shows a photograph of the 2 way and fig 2 that of 4 way splitter. Fig 3 shows the insertion loss of the 4 way splitter as a function of frequency. 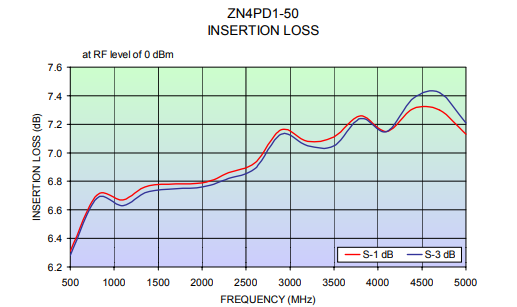 It has a very low insertion loss of 6.3 dB(0.3 dB above 6dB) at 500 MHz and increases to 1.2 (1.2 dB above 6dB) dB at 5000 MHz. This loss helps to minimize power dissipation and enables the circuit to handle up to 10 W of power. All the four out put ports split power equally, the measured amplitude unbalance is of the order of 0.1dB. Fig 4 shows the graph of isolation as a function of frequency. 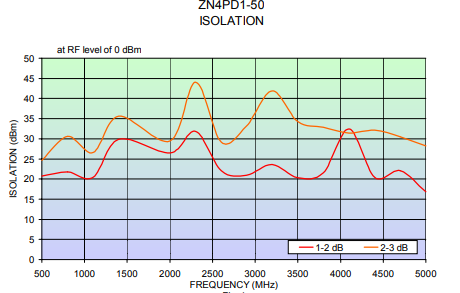 Opposite ports(2-3) have higher isolation(30 dB typical) than adjacent ports(1-2, 23 dB typ.). Opposite ports can be used to combine signals when higher isolations are required. The splitters also have excellent phase balance, 1deg typically. All ports are matched well into 50 ohms. 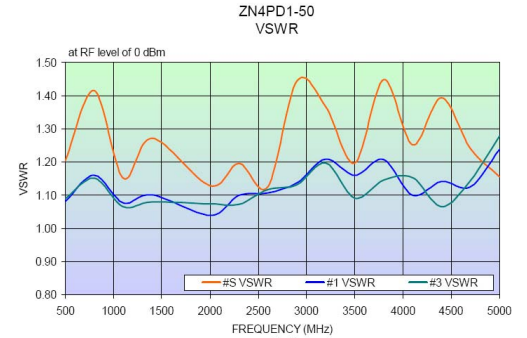 Fig 5 shows the VSWR a function of frequency, it is typically 1.3:1 at the S-port and 1.1:1 at the output ports. Table I provides a summary of the electrical specifications of the 2-way splitter ZN2PD2-50 and also that of ZN4PD1-50. Two very wide band splitters have been developed and are produced in connectorized cases. These will be useful for power combining and splitting applications in lab and for instrumentation use. These are very useful for wide band inter-modulation measurements where multiple tones are combined and fed to a device under test as the splitters cover a wide frequency range. These splitters cover popular application bands such as Cellular, WCDMA, fixed satellite, line-of-sight links.